How can you get a faster, easy to handle and competitive race car? This is a competition engineer’s job. Bring to the driver a chance to win. Do you want to learn how? In Monlau Academy we would like to give you a wide range of academic training. Why choose one of them if you can become a great engineer on both specialties? Our teaching staff are racing 7 days a week. Choose your best field and we will show you how to achieve it. Join us from anywhere in the world and be a part of the Monlau team. We strive for quality and transparency and your peace of mind is our warranty. WHAT WILL BE THE MOST RELEVANT VALUE WHEN FINISHING THE MASTER? You will work with a highly technological system that will include software licences used in the most relevant FIA and FIM Championships as Matlab, Ansys, PTC, 2D and AIM. You will have the knowledge and skills applied to the different motorsports projects where we take part in. 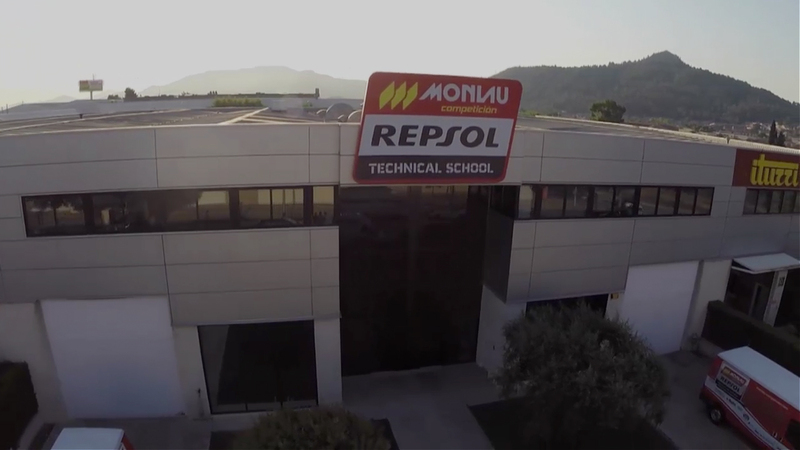 In Monlau Repsol Technical School we have the recognition of the different fields of motorsport players. Manufacturers, suppliers, sponsors, promotors, institutions that will recognize and provide support in motorsport. Here in Monlau Academy we realize that you know what you want and we are aware that you want to make a living in the world of Motorsports, to help you joining us you can register with no compromise, just tell us what your choice is and we will contact you to allow you to join our team. Focused and specific training on motorcycle competition engineering. Focused and specific training on car competition engineering. Global and complete training on both specialities competition engineering.